We sit on our furniture daily. Whether we’re watching TV, eating dinner, reading a book, or having a gathering, our furniture gets used. As such, spills and stains tend to happen to the best of us. When it comes to upholstery cleaning, however, we don’t do it as often as we should. Is your furniture starting to smell or look dirty because of stains or crumbs? Below are some ways to clean it up yourself. Fabric stain remover may work to remove the stain without having to replace the upholstery. With stains, you want to work as quickly as possible to prevent the stain from setting into the fabric. Keep stain remover on hand or use warm soap and water to gently blot and remove the stain. Follow the instructions on the back of the stain remover bottle for any additional information. If you have a stain that’s been there for a while or is pretty big, it may be time to bring in a professional. Dust, crumbs, and hair will accumulate on your upholstery after some time. 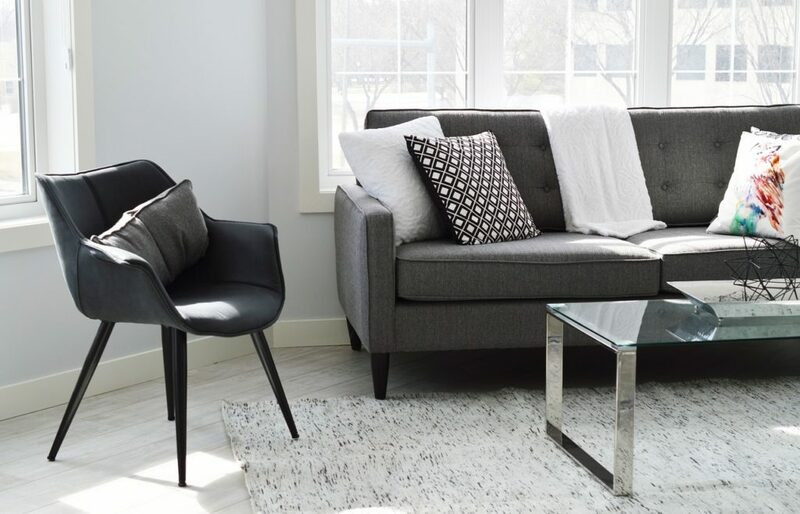 To keep your furniture looking like new, take time to regularly vacuum in between any crevices and under cushions to get rid of anything that’s accumulated since your last cleaning. Things like dust and crumbs can even lead to stains if left unchecked. Regular surface cleaning your furniture will keep them looking newer longer. If your upholstery is leather, it can be regularly cleaned by wiping it down with soap and water or a store-bought leather cleaner. This will help to keep the leather looking fresh and can remove any odors from the surface. You should use a damp cloth with soap rubbed into it. Do not add water directly to the leather. Instead, gently wipe down the leather with the damp and soapy cloth and then wipe it with a dry cloth to remove the soap from the leather. Even after taking the above steps to keep your furniture clean, you should still hire a professional to come in and clean at least once a year. Professional cleaners can do a much deeper clean and have knowledge of the different fabrics used to make sure the cleaning is done without damaging anything. A professional clean will also allow you to keep your furniture longer as it will be a proactive defense against any damage or wear and tear. Keep your furniture looking like new throughout its use. Call a professional cleaner and start putting these habits into practice. At Kelley Klean, we are a professional cleaning service that can clean your upholstery as well as provide other services for your home. Call us today at 573-214-0990 to set up an appointment.